Web Designing India CMS for PHP, that covers complete life cycle of web pages on your site, from adding content, publishing, and archiving.Our PHP CMS is a tool that allows to create cost effective web sites. Now you can get cost effective web site with following modules: articles, news, product catalog, users, orders, banners, blog, newsletter subscription. Web Designing India CMS for Asp.net, now in more advanced technology, enhanced with Internet marketing features, Professional look and Creative ideas.Our Asp.net CMS contains a package of functional templates, and bespoke design solutions with News, Wiki, Photo Galleries, FAQs, RSS, Videos, Products, Gateways, Data Entry, Polls and many more. 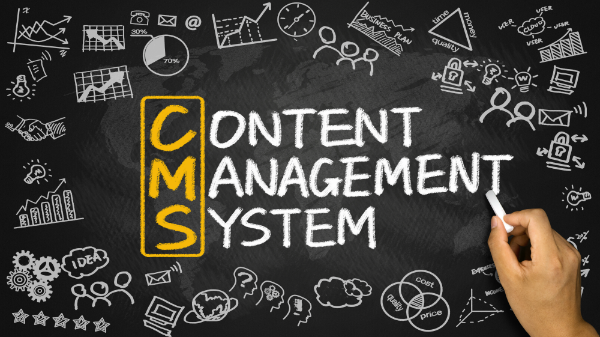 A content management system (CMS) is a system used to manage the content of a Web site. In brief, we can say content management system for the formation, alteration, archiving and exclusion of information assets from an prepared storehouse, naturally called database. Includes tools for content creating and publishing, layout management, modification control, indexing, search and recovery. In today’s, Internet circumstances customers are challenging more right to use, to information and business processes and they anticipate it now. Traditional web technologies restrain this understanding. They distance business owners from web site content because their use depends upon industrial expertise. They produce web sites with limited capabilities that are costly to arrange and uphold. Content management system gives power of the content to the business experts rather than technological experts. It ensures quick, reliable, precise and well-organized publication of your academic assets and business processes on the web and it helps management to run workflow and maintain superiority control by allowing an overall administrator of the system to put roles and permissions for authors, editors and publishers, as a effect of it company’s website is focused on the accomplishment of business objectives, rather than being determined by technical issues, by putting be in charge of content in to the hands of its business experts. By lessening technical obstacles in the publication of content, a content management system can decrease the need for training, while facilitating further people to publish. At the same time, it reduces the daily stream of calls to the IT department for changes to the website.The design and presentation of content on a web page is separated from the content creation process. This is because web pages and links can be dynamically generated from information held in a database. Content management system can also permit worldwide changes to a site to be made much more easily if needed. The design of the pattern can be changed somewhat than having to edit each page independently. Content management system permit for the design of a ordinary and steady information architecture (metadata, classification, navigation, search, layout and design) because information is strained from the content database and plugged into templates shaped by the web developer for unusual types of web page. Different templates can be designed for different areas of a site if needed – for example the layout of a product display page may need to be different to the layout of a company information page. Templates can be designed to gather any essential technical and accessibility standards. Content management system will not be suitable for every body. Since, it have the advantage of allowing non-technical users to uphold a website very simply and give significant tools for managing content and the web publishing procedure. Although the original outlay may be superior than for structuring your website with flat HTML pages, in the long run a content management system could prove highly cost effective. If you are getting a new website built or redeveloping an existing one and your site needs updating regularly by users without the relevant technical skills, is large or complex, then a content management system is worth considering. We at Web Designing India support you to choosing exact kind of content management system required by your business, and if your requirements does not satisfied from the off the shelf content management system, then we will develop an customized content management system for your, that will work.